If you are a beginner wanting to be guided through your first few triathlons I would love to share your journey. I can create your own bespoke online training plans, give you specific strength training workouts to complete, and generally hold your hand through the entire process! Whilst our relationship will be virtual, we will facetime regularly so that I can check your progress, and provide as much support as possible. Its never too later to start, so what are you waiting for? I currently race sprint distance triathlons for Great Britain in my age-group and previously rowed at national level, so I know what it takes to succeed. I am a BTF L2 triathlon coach, L4 personal trainer, L1 strength and conditioning coach and Run Leader. 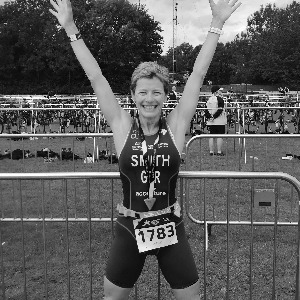 I have had 5 years coaching beginners triathletes, sharing my passion for the sport and encouraging them through thier first and subsequent events successfully. Having left the corporate world in 2012 to pursue my love of sport and enthuse others, I created Sunshine Multisport Coaching for runners, triathletes and general fitness enthusiasts to achieve their goals. I take on all athletes that are either new to the sport or have done one or two triathlons and want to improve their skills and fitness levels. Success. Coach Alison Smith has been notified of your message.